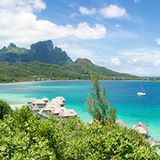 Here's what you need to know about the summer Bora Bora weather if you're thinking of having a Tahiti vacation during these months of the year. The summer Bora Bora weather season begins at the end of November and continues through December, January, February and March. There is a higher rainfall at this time of year so summer is also known as the wet season. During these months you can anticipate slightly warmer, wetter, and more humid Bora Bora weather. In tropical Tahiti the rain tends to fall in the afternoon and at night. On most days the showers come and go and there's usually hours of sunshine in between. You may also notice that although it is raining on one side of the island, it is sunny on the other as this island setting has micro-climates. It's useful to understand about the cooler conditions that may occur, especially during January and February Bora Bora weather. I wondered why the resorts had warm quilts on the beds. And then we experienced something we had never heard about. Summer can also have cool spells. Rain may set in and last for several days. When this happens the temperature drops. Because of this pattern, Polynesians refer to these months as the cold season. And yes, they actually wear sweaters! After the row of rainy days the sun comes back out and it's hot and humid again. If this is your set vacation time and you're wondering whether to go to Bora Bora during the summer season, you can still have a great time. The days may be mostly fine. To have a wonderful vacation, even if it does rain sometimes, there's a few important things to know. Read how we enjoyed ourselves during our January holiday despite 5 unusual days of rainy, summer Bora Bora weather. Although there are patterns, you can't entirely predict when rain will fall in the tropics. For example, friends experienced several days of unexpected rain in Bora Bora at the end of October, even though I've had fantastic weather during three October visits. 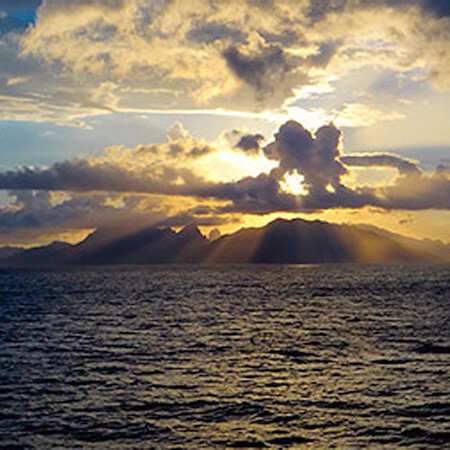 So if your opportunity to travel falls during the Tahiti summer weather, do it. 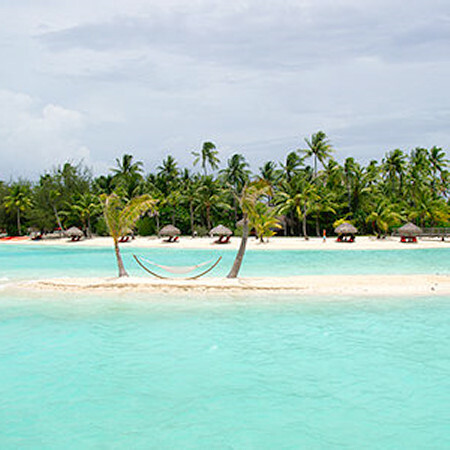 Bora Bora has been awarded the top island in the world. 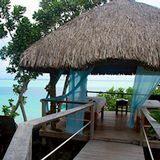 When a rain shower comes, grab a cold Hinano or coconut and relax on the deck of your over-water bungalow. Even with gray skies above, the world's most beautiful lagoon remains a vivid shade of blue or turquoise, depending on the area of the Bora Bora you are staying in. Watch the raindrops falling on the mesmerizing lagoon. Inhale the fresh island scents being released by the rain. And best of all, look out for the colorful rainbows that can usually be seen during showers in Bora Bora! 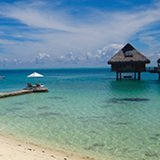 The Tahiti and Bora Bora low season prices are from the 1st of November to the 20th of December, and from the 20th of January to the 31st of March. Except for the Christmas and new year period (when it's very exciting in Bora Bora) low season overlaps with the summer Bora Bora weather. 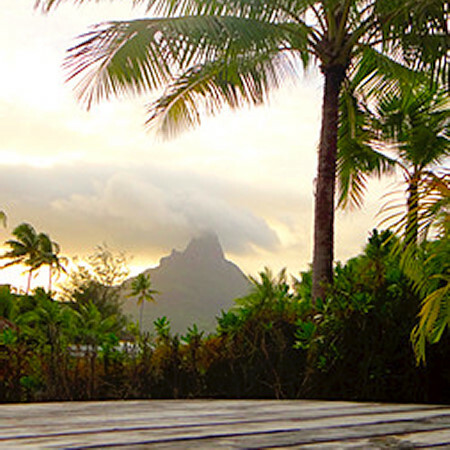 Find out what it's like to have a tropical Christmas in Tahiti. 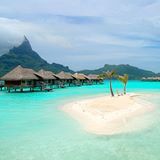 So one advantage of going during summer Bora Bora weather is that you can stay in any of the luxurious Bora Bora resorts for a fraction of the price. 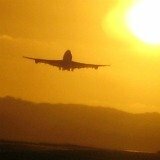 Over the years we've discovered many strategies to have an affordable Bora Bora vacation. You'll find valuable local knowledge that will assist you in saving $100s on hotel bills. As this is the quiet time in Bora Bora you will have more of the island to yourself. It can seem as if you are the only ones walking along the expansive trails through tropical gardens at the romantic resorts. We love having some of the best beaches in Tahiti virtually to ourselves. There may be more showers passing by, but this is the tropics, so even if it rains, it is usually still warm. 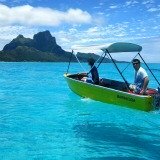 Because there are less tourists it is easy to find availability for booking the best Bora Bora excursions. It takes rare, extreme weather (like several heavy days of rain in a row, causing a lagoon swell) for the popular excursions to be canceled. There is only one fascinating tour, hiking in the Kings Valley, which cannot be done during or after it has rained. And if you are specifically planning a Bora Bora diving vacation, and only coming for a few days, summer is not the best time to rely on having the best visibility. We have stayed at resorts with people who specifically came to dive and were disappointed. See the monthly weather chart to find out day and night temperatures, rainy days, sea temperature and sunshine hours. 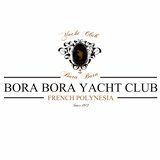 You can find out about the winter Bora Bora weather season on this page and see a description of Bora Bora weather for each month of the year here.